These sessions are highly recommended as a way of brushing up on your wild plant identification knowledge, and discovering interesting ways to use them; foraging is a *really* good activity for increasing your contact with nature, and entirely sustainable if sensible guidelines (such as these) are followed. Saturday 18th May, 10-4pm: The Field Kitchen will be at the West Bridgford Summer Gathering, offering tasters of locally foraged teas and plants. 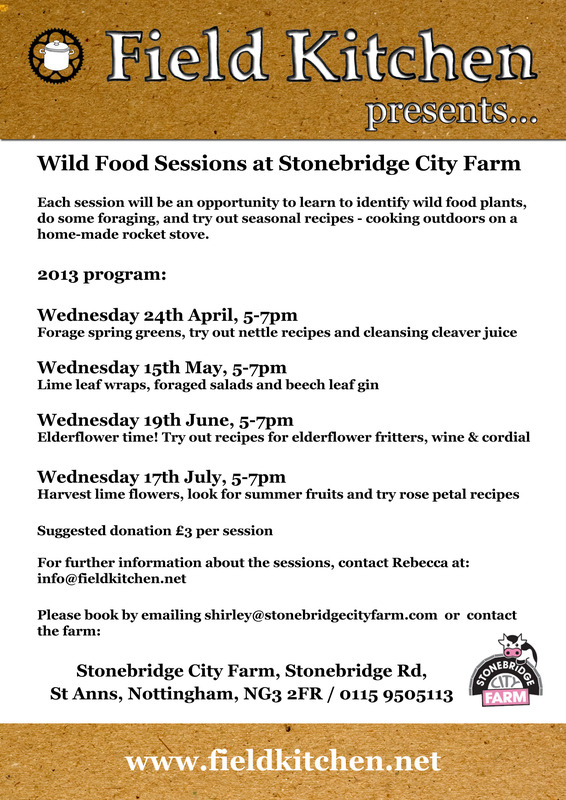 Saturday 25th May, 12-4pm: Fermentation workshop with Rebecca Beinart at Stonebridge City Farm: Try your hand at making Sourdough bread, Sauerkraut and Ginger beer. 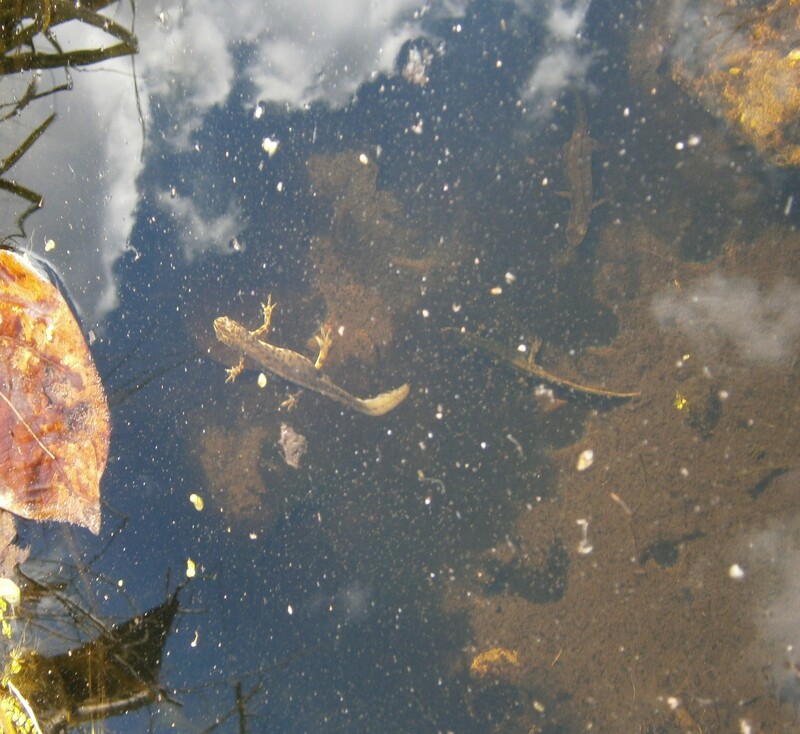 Sunday 2nd June, 2-5pm: Field Kitchen bicycle-based foraging trip along the River Trent, where you will learn to identify wild food plants and cook up a foraged feast. Costs: £10 per person. 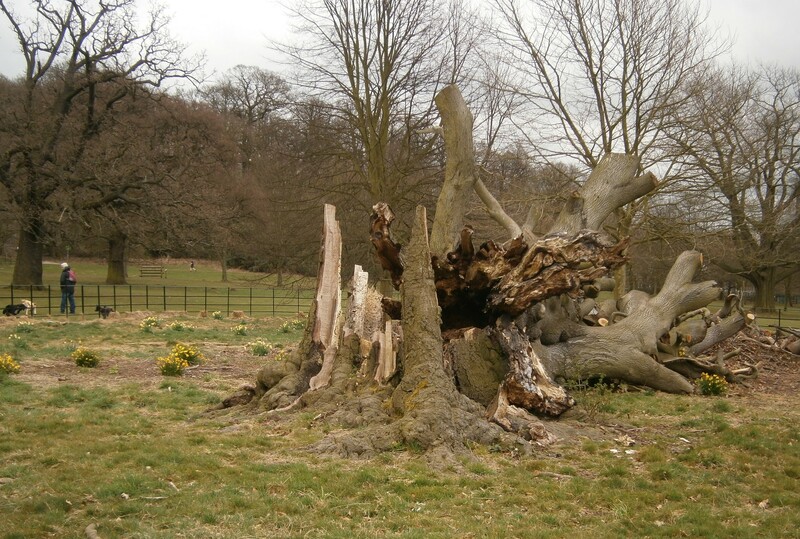 In Bramcote Hills Park, a 200-year old Beech Tree has fallen, and been allowed to stay in place. 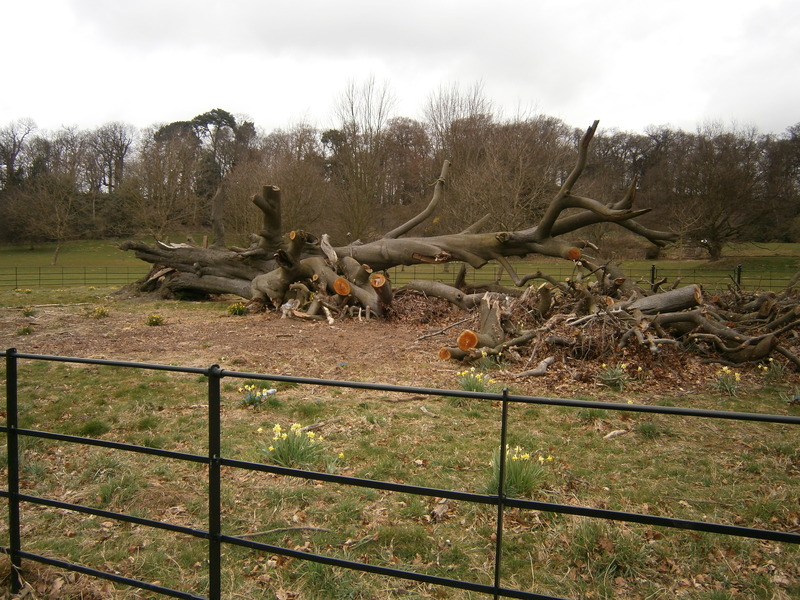 An enclosure has been created within which the large tree can slowly decompose naturally; the enclosure also forms an area of habitat for wildflowers. It’s good to see a tree being left like this in a public park – fallen dead wood is too often removed in an urge to “tidy up”. Deadwood is extremely important for biodiversity, and it is often in short supply in our woodlands, so the way that this tree has been retained (and turned into an informative feature) is very welcome. 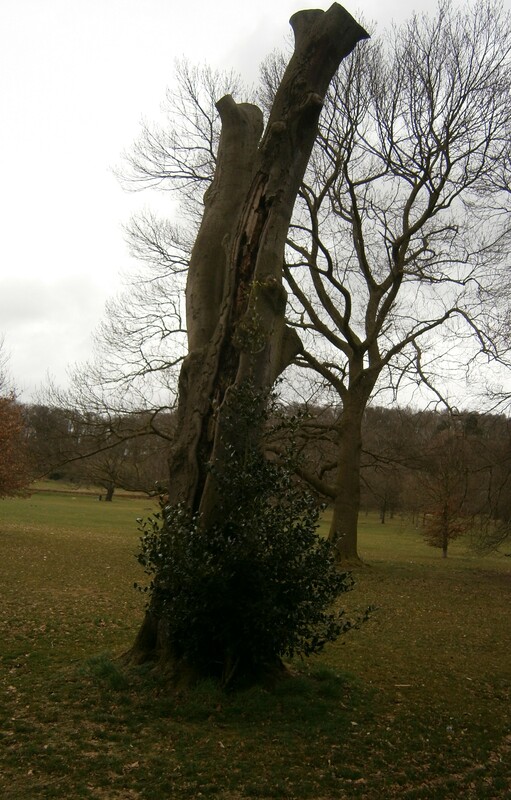 Nearby in the park, another dead Beech tree has been left unfelled as standing dead wood. It seems Bramcote Hills Park has set a good example of thoughtful park management for conservation with these dead trees….